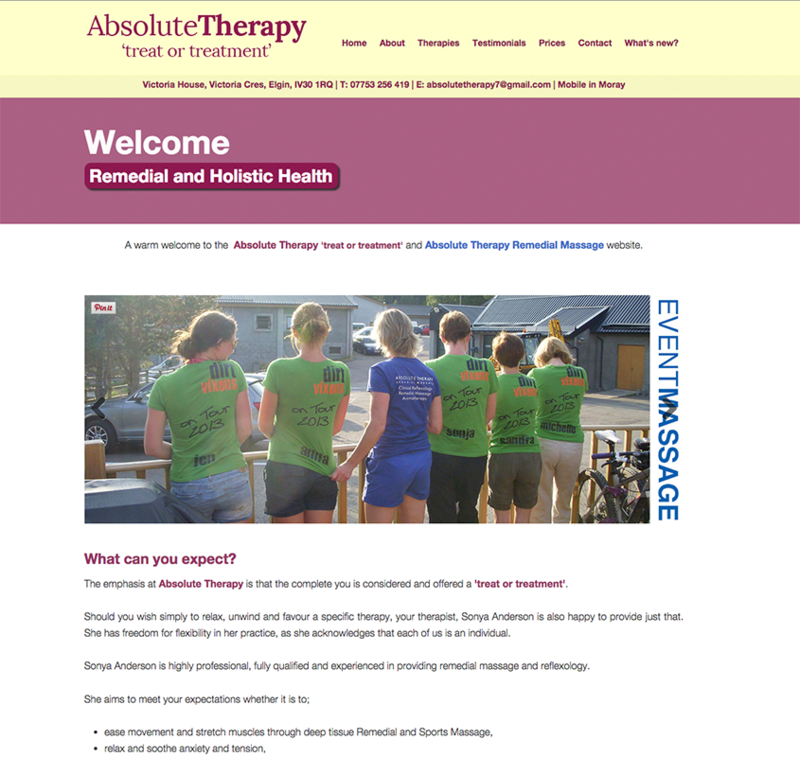 The new Absolute Therapy website now live. I was asked to create a calm, peaceful yet professional website for Sonya Anderson of Absolute Therapy. We worked closely together on this project and the client was extremely happy with the final result.